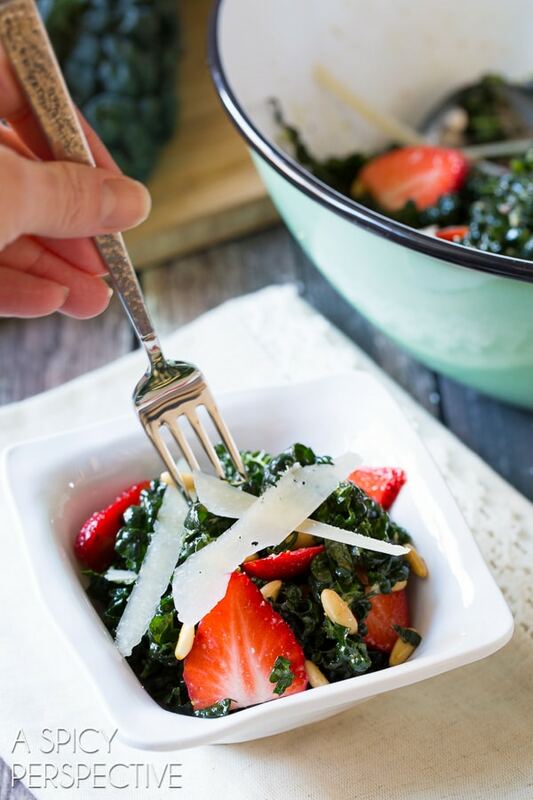 A slightly wilted kale salad recipe kissed with a honey-lemon dressing, and tossed with crunchy pine nut, nutty pecorino cheese, and bright blushing strawberries! Several weeks ago I was talking to a few friends about kale salad. What else? I’m not exactly sure how the topic came up; maybe we had already covered weather, family, business, politics, and pop-culture. 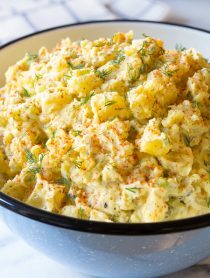 Bread crumbs may seem a strange ingredient to add to salad, but there is good reason to mix breadcrumbs into a kale salad recipe. Raw kale, as wonderfully healthy as it is, can be tough to chew. Wilting the kale makes it much more pleasing to the palate. And the best way to wilt raw kale, without cooking it, is to soak it with an acid ingredient. You can do this easily by tossing kale with a dressing, made with vinegar or lemon juice, then letting it sit for a while. A thin vinaigrette will always pool at the bottom of the bowl, meaning most of the kale won’t actually be soaking in it. 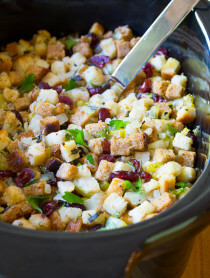 And you certainly don’t want to over-do on the dressing. So the best way to fully coat the kale in the acidic dressing is to sprinkle it with breadcrumbs and toss in the vinaigrette. 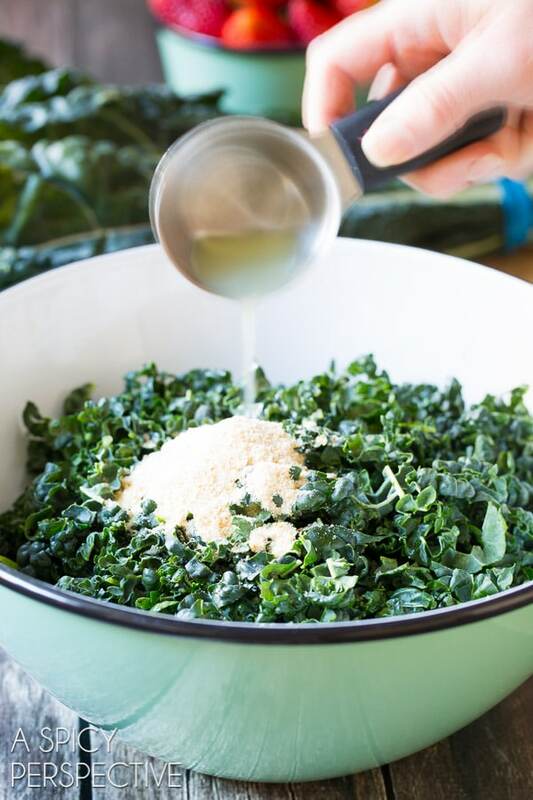 As you toss the kale the breadcrumbs absorb the vinaigrette and stick to the leaves. Then as it sits, the acid works its magic over the entire surface of the kale. We enjoy all sorts of wilted kale salads. 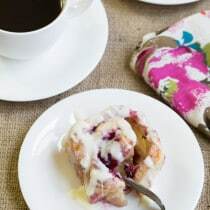 However, as we’re edging closer to spring, I’ve got berries on my mind. 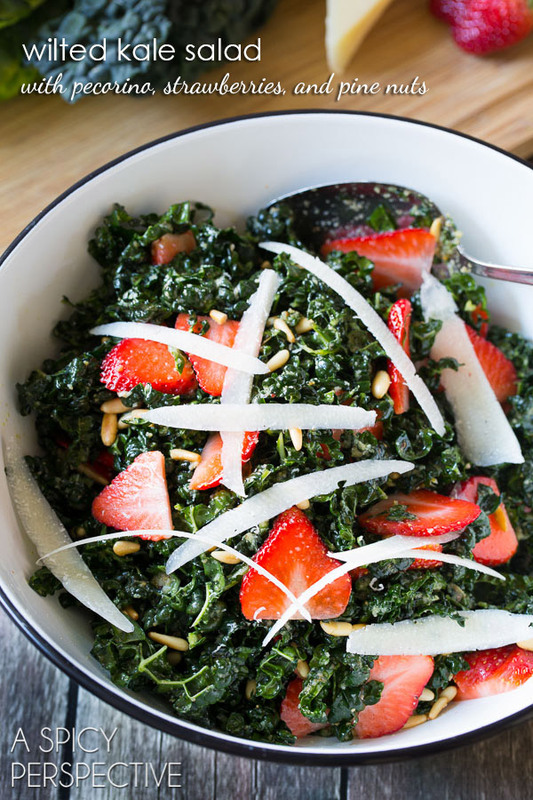 Wilted Kale Salad with Pecorino, Strawberries, and Pine Nuts is one I’m partial to at the moment. It’s super easy to make, with only eight ingredients, other than salt and pepper. Plus, it offers lovely contrast with the sweet tangy strawberry slices, crunchy pine nuts, and salty pecorino. Seriously, I cannot get enough of it right now. Wilted Kale Salad with Pecorino, Strawberries, and Pine Nuts makes a great make-ahead or lunchbox item, because the kale continues to soften, but won’t get mushy over time. 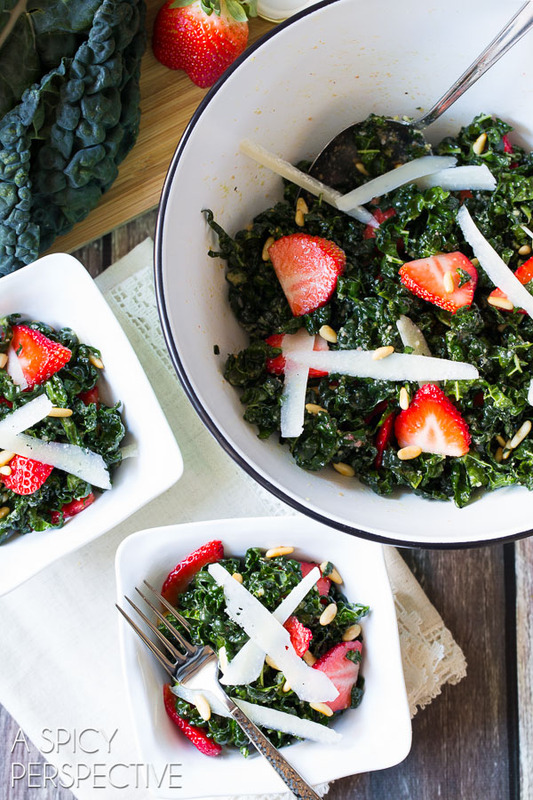 Wilted Kale Salad with Pecorino, Strawberries, and Pine Nuts is also wonderful for spring picnics, potlucks, or pretty much any other occasion you can think of. 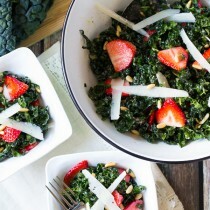 Slightly wilted Kale Salad Recipe with Pecorino, Strawberries, Pine Nuts and a tangy honey-lemon dressing. This bright and healthy kale salad brightens up any meal! Wash and dry the kale leaves. Fold each leaf in half, lengthwise, and cut out the stem. Then slice the kale into thin ribbons. Place in a large salad bowl. Sprinkle the kale with bread crumbs, lemon juice, olive oil, and honey. Toss well, then salt and pepper to taste. 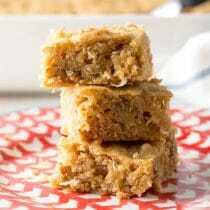 Cover and place in the refrigerator for at least 2 hours. 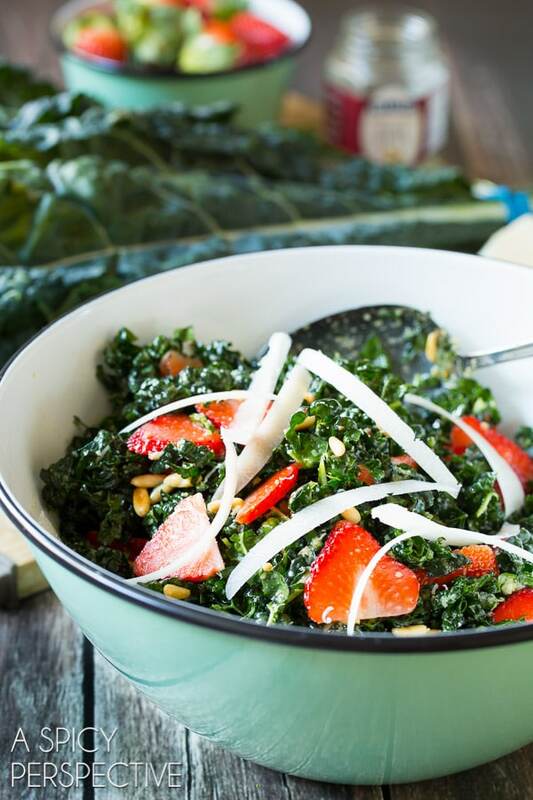 Once the kale has wilted a little, toss in the sliced strawberries and toasted pine nuts. 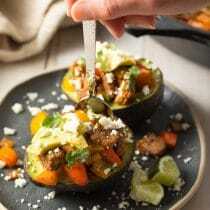 Use a veggie peeler to shave bands of nutty pecorino cheese over the top. Enjoy! 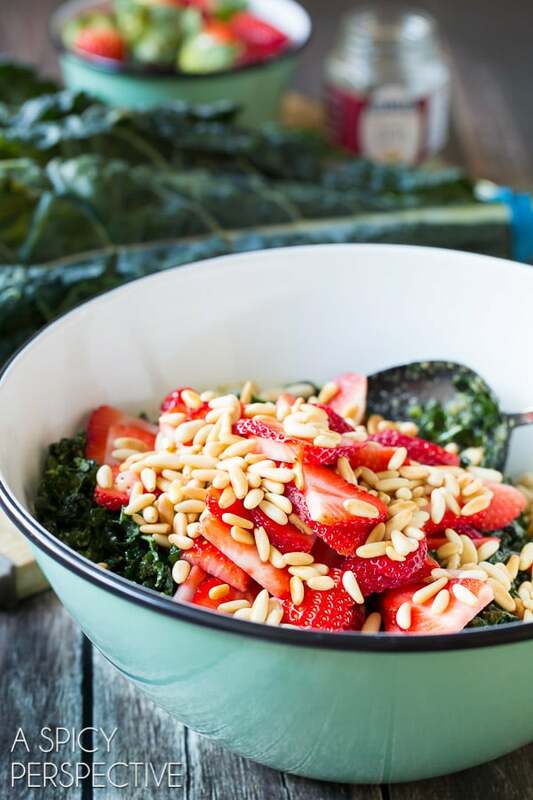 This kale salad recipe with pecorino, strawberries, pine nuts looks so zesty and tasty! Absolutely love your creative idea! Thanks for sharing! 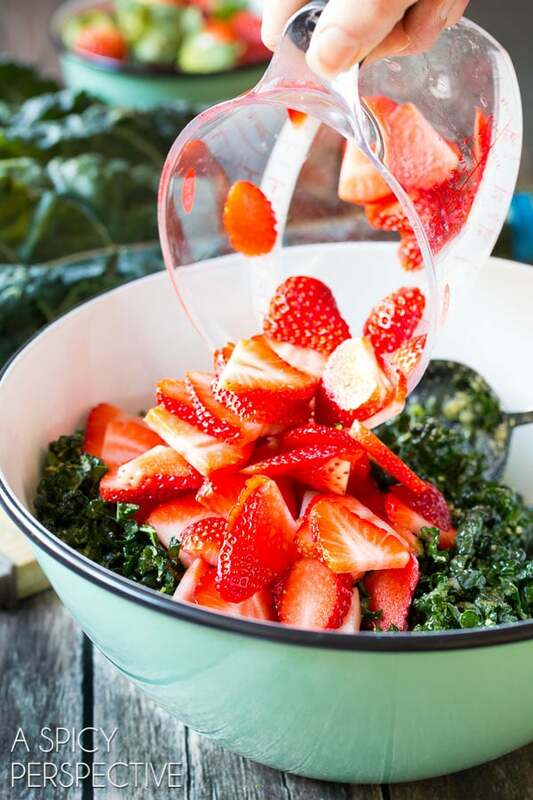 This is a great kale salad recipe with pecorino, strawberries, pine nuts recipe Sommer, as you know I made it a short while ago and it was lovely! Thx for sharing! 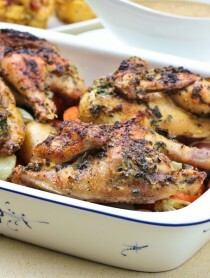 Made this for dinner along with some grilled red potatoes. The salad was amazing! Great flavor and just enough wilting to make it deliciously edible. Will definitely make this again! Lovely salad! Healthy and gorgeous! I’m so envious of your gorgeous lacinato kale! Hard to find sometimes! Such a great way to enjoy kale!! The BEST way to eat kale! I’m sending this to my BIL, too, who is always inundated with these greens from his CSA. I love Kale…. this salad look AH- mazing!!! This sounds delicious! 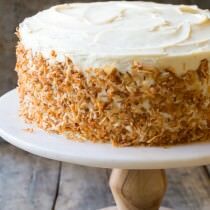 Love the strawberries in there! Totally makes sense to me! This salad is gorgeous. Love the colors! This kale salad deserves to be the talk of the town. LOVE the bread crumbs! Oh my goodness I want this for lunch!!! Tuscan kale is my favorite.